Custom fisherman bobblehead from photo.personalized gifts for him. This custom bobblehead doll features a man gone a fishing. He stands on a fishing boat with fishing hooks and a fish in hand. 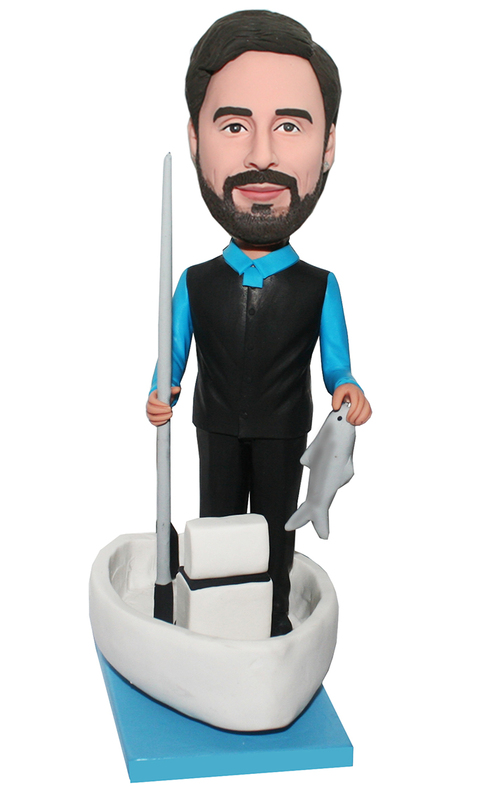 This customized bobblehead is unique for the a man who loves fishing on boat by the sea. Also a nice choice for his birthday. And for the details, you can put your trust in our gifted artists!